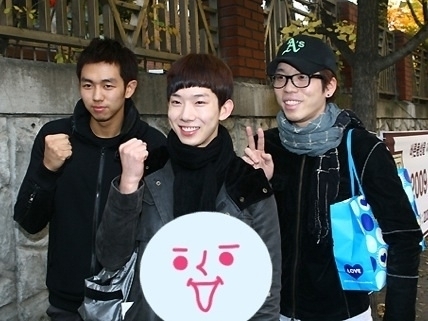 koreporter: How Big of a Deal Could Suneung Be to Celebrities? How Big of a Deal Could Suneung Be to Celebrities? Remember my earlier blog about Suneung, the test that all the seniors in high school takes? Remember it happens once a year? It's kind of sad, but there's no other national thing or even holiday that people unite so well. So here are celebrities giving the students some message of encouragement. The celebrities are actually some of the most popular celebrities. even makes this funny face and a gesture for the students to wish them luck. I think these guys are 2AM. 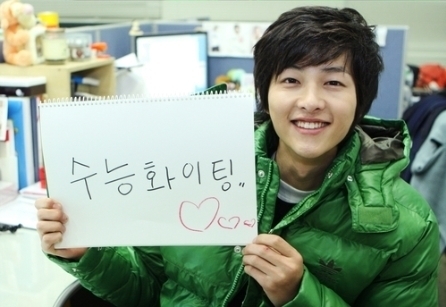 One if the cutest celebrities (according to Korean females) wishes students luck, too. Finally, here's Sandra Park from 2NE1 going FULL OUT. She has a pen in her hand, which means "study hard!" and a mirror to give them confidence and encouragement. 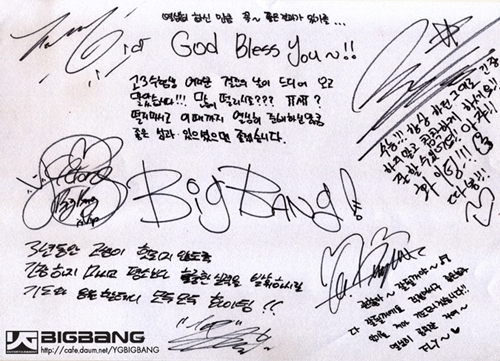 they signed a big paper where most celebrities wished students good luck. Kind of get a feeling of how big this is...?